Russia’s Deputy Defence Minister Anatoly Antonov. 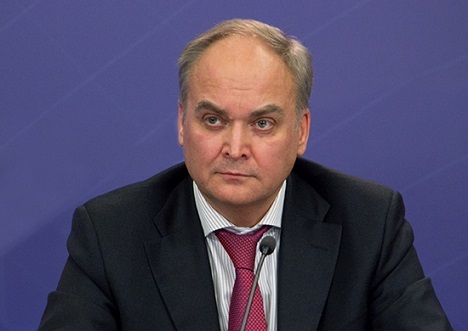 Russia seeks to raise defence cooperation with countries in the Asia-Pacific region, particularly India, China and the ASEAN countries, deputy defence minister Anatoly Antonov said in his address at the ‘Shangri-La’ Dialogue in Singapore. Russia is keen to develop and raise military cooperation with Asia-Pacific countries, particularly with India, China and the ASEAN countries, said Anatoly Antonov, Russia’s Deputy Defence Minister in his speech at the Singapore International Conference on Security in the Asia-Pacific region, the “Shangri-La Dialogue”. “India remains one of the leading partners of Russia in the region, in the area of military and technical cooperation. In addition to the supply of ready-made arms, we assist in the development of the Indian military and-industrial complex,” said Antonov. “Our multifaceted cooperation with China has increased markedly over the past three years. At the same time we do not co-operate against anyone, our bilateral cooperation is aimed at strengthening the security of our countries,” Antonov said. Antonov also invited representatives of the Defence ministries present to participate in the Army international games, which will be held in August, and in the international military-technical forum “Army 2016,” which will be held in the Moscow region in September 2016.